TV Land's new George Lopez sitcom, Lopez, will premiere Wednesday, March 30, 2016 at 10pm. 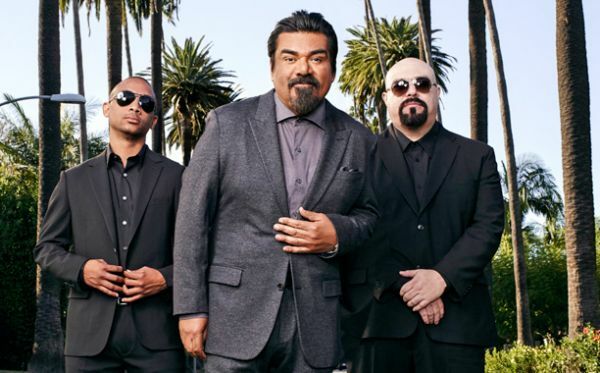 George Lopez stars in TV Land's new unflinching comedy series Lopez. It's the real George Lopez we rarely get to see as he struggles to find his place among the worlds of race, class and fame. The half-hour single-camera serialized comedy has a 12 episode order. John Altschuler and Dave Krinsky (Silicon Valley, King of the Hill) will write and executive produce the series. Michael Rotenberg (It's Always Sunny in Philadelphia) of 3 Arts Entertainment and Troy Miller (Arrested Development) will also executive produce. The comedy, revolving around America's most successful Hispanic American comedian, explores how George struggles between his two worlds and crises - often of his own making. Too rich to go back to his working class, Latino roots, and too "brown" to feel comfortable in his affluent celebrity life, being George Lopez comes with many problems. Alexie Gilmore and Maronzio Vance co-star with George. Amazon announced the multi-Golden Globe award-winning series, Mozart in the Jungle, has been renewed for a third season. Starring Gael García Bernal (Salt and Fire), who was awarded the Golden Globe award for Best Actor in a Musical or Comedy Series, and Lola Kirke (Gone Girl), Mozart in the Jungle will begin production later this year and will continue the story of the talented musicians who perform and live with passion under the baton of its spirited conductor, best known simply as Rodrigo. Executive Produced by Roman Coppola (Moonrise Kingdom), Jason Schwartzman (The Darjeeling Limited) and Paul Weitz (About a Boy), season three will see Rodrigo and many musicians take their talents to Europe. The win for Mozart in the Jungle brings Amazon's total number of Golden Globe awards to four, following last year's double win for Transparent in the same categories. It also makes Prime Video the first content provider in a decade to win Best Musical or Comedy Series and Best Actor in a Musical or Comedy Series in back-to-back years for different shows.